Prenatal thalamic waves regulate cortical area size before sensory processing. 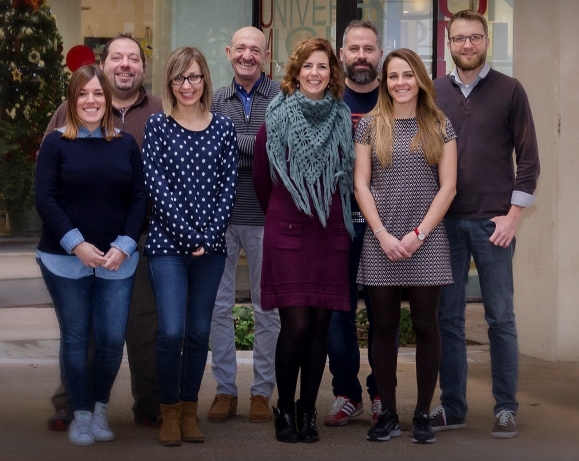 Verónica Moreno-Juan, Anton Filipchuk, Noelia Antón-Bolaños, Cecilia Mezzera, Henrik Gezelius, Belen Andrés, Luis Rodríguez-Malmierca, Rafael Susín, Olivier Schaad, Takuji Iwasato, Roland Schüle, Michael Rutlin, Sacha Nelson, Sebastien Ducret, Miguel Valdeolmillos, Filippo M. Rijli & Guillermina López-Bendito. The cerebral cortex is organized into specialized sensory areas, whose initial territory is determined by intracortical molecular determinants. Yet, sensory cortical area size appears to be fine tuned during development to respond to functional adaptations. Here we demonstrate the existence of a prenatal sub-cortical mechanism that regulates the cortical areas size in mice. This mechanism is mediated by spontaneous thalamic calcium waves that propagate among sensory-modality thalamic nuclei up to the cortex and that provide a means of communication among sensory systems. Wave pattern alterations in one nucleus lead to changes in the pattern of the remaining ones, triggering changes in thalamic gene expression and cortical area size. Thus, silencing calcium waves in the auditory thalamus induces Rorb upregulation in a neighbouring somatosensory nucleus preluding the enlargement of the barrel-field. These findings reveal that embryonic thalamic calcium waves coordinate cortical sensory area patterning and plasticity before sensory information processing. Verónica Moreno-Juan, Rafael Susín, Belen Andrés, Miguel Valdeolmillos, Guillermina López-Bendito, Luis Rodríguez-Malmierca, Noelia Antón-Bolaños, Anton Filipchuk.